SKU: 562f34d4495d. 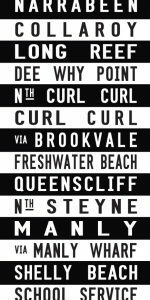 Availability: In stock Category: Australian Scroll Designs. 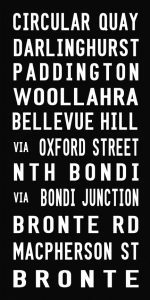 Tag: Flinders Street Coloured. 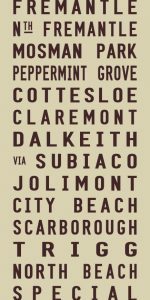 Flinders Street Coloured Style Vintage Tram Scroll Canvas Artwork. 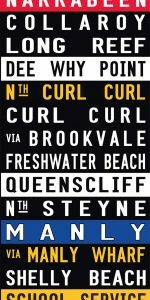 This Coloured style Vintage Tram Scroll uses the ‘Front of Tram’ coloured signs as the basis for its design. 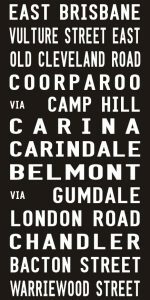 Many of our coloured designs are almost exact replicas of the original circa 1950’s Tram Roll Signs, this one is for the Flinders Street to Broadmeadows via Moonee Ponds route.